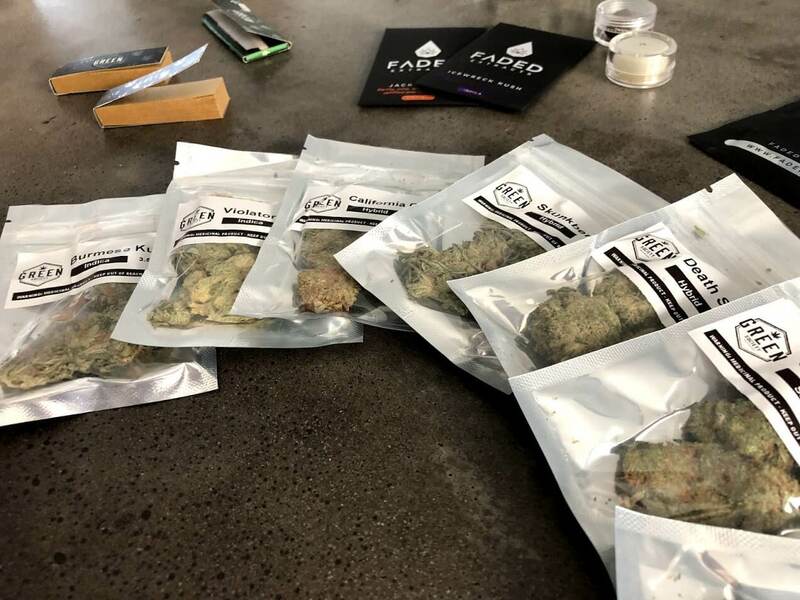 Did you say legal weed delivered directly to your door? In the past this simple task would have had results similar to drawing a “Go Directly to Jail” chance card, but for the relaxing laws of weed in the nation it seems to be common procedure. This review took quite some time as I had to go back and forth to figure out really what set apart each strain and what we liked most about them. Possibly one of my top 3 strains which lived up to my expectations. Wonderfully gassy smell of octane. With OG and diesel aroma. Beautiful dark green fan leaves accompanied with a light green nug. Visually Stunning orange hairs. Well flushed with a smooth and A1 Taste. Great smoke. Aroma reminiscent of bubba kush and master kush. Extremely frosty appearance, light green, super smooth smoke. Smokes down to the white ash, flushed well. Steller kush/og smell. Reminiscent of fresh new shoes with a hint of pine. The smoke is smooth and well flushed. Aroma of classic green crack terpenes. Tight green dense nug structure. Smooth light smoke. Dark green fanleaves with light green nug. Vibrant orange hairs with smells of california citrus as advertised! Leaves a great taste in your mouth, very flavorful. This strain specifically lived up to my childhood expectations. I shared this with my friend and have not seen him happier.flushed well powerful strain. Enjoyable Aroma hints of papaya, mango medley with pungent skunk smell. Visually has forest green with lots of fab leaves. Smokes better than it looks. Great sativa feeling high with a solid head change. Extreme fruit aroma notes. Not my favorite of the bunch but def. packs a punch. Mind blown! Only took 1 small dab on this on my new dr dabber switch (shameless plug this thing is awesome), then passed it around. The group of us took 1 to 2 dabs of this stuff and were blown away. I mean it's not the first time we've dabbed but while I prefer dry herb, this was able to impress the strongest of critics. Nice and light high with no complaints. Surely this review would not be great without writing about what we didn't like. While the package was shipped to us in California via Express it did come in a box that was a tad smashed to say the least. This usually isn't a problem but the strains were all smashed completely as the images suggest. Not that this is a huge complaint, do understand when purchasing online you will never have a 100% perfect delivery. With that said, i just threw it in a grinder, fluffed it up, and was on my way. Also, One of the concentrates didn't have the best flavor while the other was amazing. I can't pin point which one now but grab a couple just in case, so you just don't assume all of them are terrible. Over all there's no doubt in my mind that Green Society is doing everything right here as far as a weed delivery service. Almost wish I was in this business now. Find discounts deals and vouchers for popular cannabis strains, weed, marijuana and more. Click to reveal current promotion.